Depending upon the circumstances, an Insolvency Practitioner is likely to recommend either applying for a Company Voluntary Arrangement (CVA) or entering Administration. When a company is insolvent, directors have a legal responsibility to take action. At this point, the directors should approach a Licensed Insolvency Practitioner who will advise them on the best course of action. 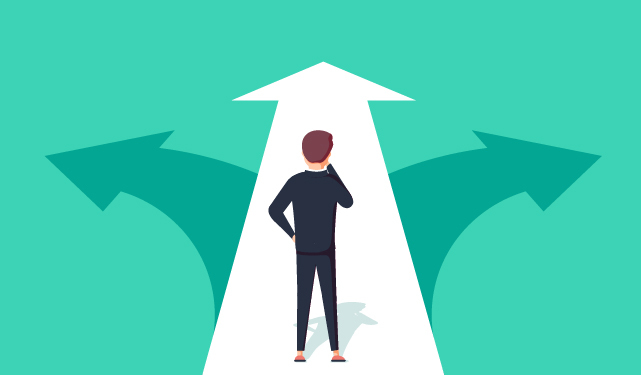 In this blog post, we will assess some of the benefits and drawbacks of these two insolvency solutions to help make the choice clearer. Administration is a formal insolvency process which stops creditors from taking legal action against struggling businesses. An Administrator, who can be appointed by the directors of the company, is responsible for selling the company’s business and assets for the best possible price, with the sale proceeds going towards paying off the debts of the company. An Administrator can also work with the directors of the company to get a CVA in place before then handing back control of the company to the directors. A CVA is a legally binding repayment arrangement between an insolvent company and its creditors. An Insolvency Practitioner will work out an arrangement covering the amount of debt to be repaid and a payment schedule. As a precondition, the company has to be making profits during the CVA. This arrangement will be communicated to all of a company’s creditors and if 75% agree to it, then the company can continue trading in it’s current form. One of the key differences between a CVA and Administration is who has control of the business. With Administration, the Administrator is in control. They take over the day to day running and will make the important decisions such as whether to apply for a CVA, whether to sell, if it is a going concern, or whether to place the company into liquidation. The Administrator has a legal obligation to act in the best interests of the creditors, so they are only likely to pursue a CVA, and in effect hand back control of the business to the directors to continue trading if they think it will allow creditors to recoup more of their losses. Administration offers an insolvent company protection from creditors that may seek to ‘wind up’ the business. But if the Administrator believes that an insolvent company is unsustainable, then the company may be wound up anyway, with company assets distributed to creditors. If agreed by 75% of creditors, a CVA binds all qualifying creditors into obeying certain rules. These rules will be set out in the CVA agreement and will typically include protections against any attempts to collect debt covered in the CVA. If a company fails to keep up with CVA payments, then creditors can apply to wind up the business. Breathing space is important for insolvent firms. It gives them time and space to think about available options without some of the more urgent daily stresses. With Administration, insolvent companies get breathing space to decide whether to restructure, sell or close. The Administrator may consider a CVA if the company looks viable in the long term. A CVA gives an insolvent company breathing space to perform more detailed analysis of the business and make important changes to the longer term business plan. When a company enters into Administration formally, there is a legal requirement to launch an investigation into the cause of the insolvency. This includes investigating the conduct of the officers in the three years up to the insolvency date. There is no statutory requirement for an investigation into directors conduct after they apply for a CVA. There are benefits and drawbacks to any kind of insolvency action. The best option will usually come down to the circumstances surrounding a particular business. If business debts are relatively small, directors want to continue trading and a company is still viable in the long-term, then applying for a CVA is likely to be the better option. A business that enters Administration can apply for a CVA afterwards, but this decision will ultimately be taken by the Administrator. For more information about CVAs or Administration proceedings, speak to a member of the Umbrella.uk Insolvency team today. Call: 0800 611 8888.